In the normal course of events SEN data will be imported from your MIS to Insight as part of the data upload. However, it is also possible to upload or amend this data manually. 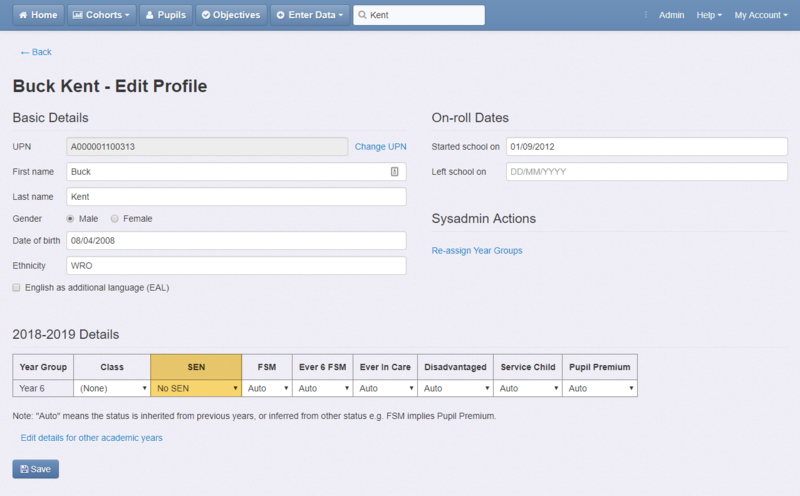 The SEN column will allow you to set the pupil's SEN status for the current year. Click on the cell in the table and choose the suitable SEN status from the available list.